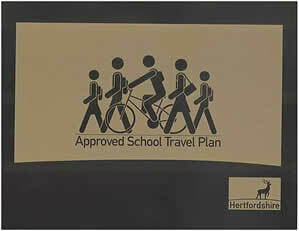 We are delighted to have been presented with the Hertfordshire Schools Gold Travel Plan Award! Katie Telkman, from the Herts School Travel Plan Team, came into assembly to talk to the children and present us with our award. This is as a result of the work we have been doing recently to make parents and children more aware of how to travel safely to school, as well as other issues such as parking and general road safety. 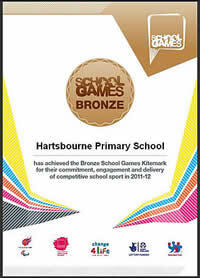 Well done to everyone for their fantastic efforts! 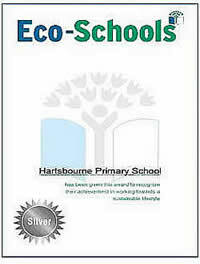 We are very pleased indeed to have been awarded the National Eco-Schools Silver Award in recognition for all the hard work we have been doing to raise awareness of and tackle the issues surounding Litter, Water, Waste and Transport both in school and the local community.